A versatile laboratory pan that can be used as a 4 L (1 gal.) 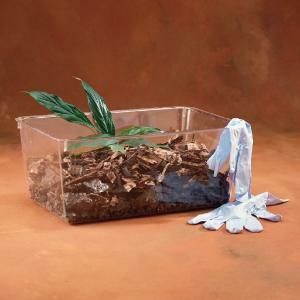 aquarium, terrarium, frog pan, mouse cage, pneumatic trough, or planter. The pans conveniently stack into one another for economical storage. Size: 32 x 26 x 13cm.